And embrace it they do! The town is abundant with Headless Horseman references, from the names of stores and restaurants, to the Sleepy Hollow High School team mascot, to the orange-and-black street signs with the Horseman’s image to a huge abstract iron sculpture in the middle of a traffic island in the center of Broadway (the main thruway that bisects Sleepy Hollow, the very same Broadway that snakes through Manhattan). Across the intersection from the sculpture is the Sleepy Hollow Cemetery. The cemetery is situated on a long swath of ground overlooking Route 9 (Broadway). 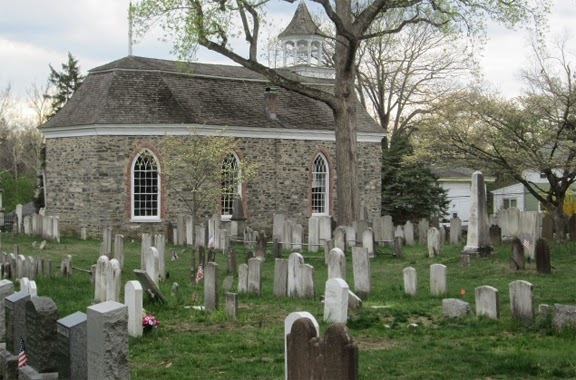 The cemetery, now listed on the National Registry of Historic Places, dates back to this nation’s colonial era. 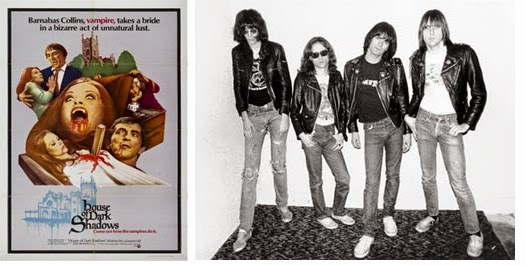 Its spooky history and mystique made it the ideal setting for scenes in 1970’s Gothic horror film House of Dark Shadows, as well as a music video for the title track of the Stephen King shocker Pet Sematary, as performed by punk legends The Ramones. The south entrance gate opens to the Old Dutch Church. The graves surrounding the church go back to the 1700s and the plots are marked with ornately-carved, yet very thin and weathered headstones. They seem to be placed haphazardly, though it is most likely due the years of shifting landscape, common in an area so close to a river bed. (Plus, Sleepy Hollow braves a lot of bad weather.) While the majority of the names have been eroded by centuries of exposure to the elements, the ones that can be read are distinctively Dutch in origin, revealing the ancestry of the area’s settlers. Immediately behind the stone church is the grave of Eleanor Van Tassel Brush. While her name may be unfamiliar, Washington Irving based the character “Katrina Van Tassel” on Eleanor in his story “The Legend of Sleepy Hollow.” About thirty or so feet away from the Van Tassel marker is the grave of another early Dutch settler, Abraham Martling. Martling was also used by Washington Irving as the basis for the overbearing Brom Bones, the tormentor of meek Ichabod Crane. 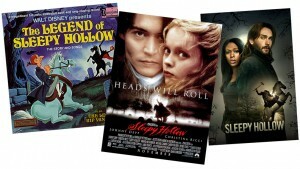 (The character was named “Brom Van Brunt” in the 1999 Tim Burton film.) Samuel Youngs, a soldier in the War of 1812, was the inspiration for Ichabod Crane. 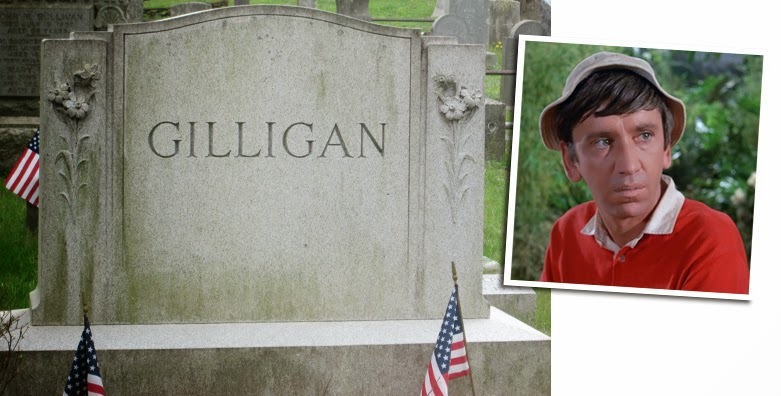 Youngs, who was buried at Sleepy Hollow Cemetery, was reinterred at Dale Cemetery, just up the road in Ossining. 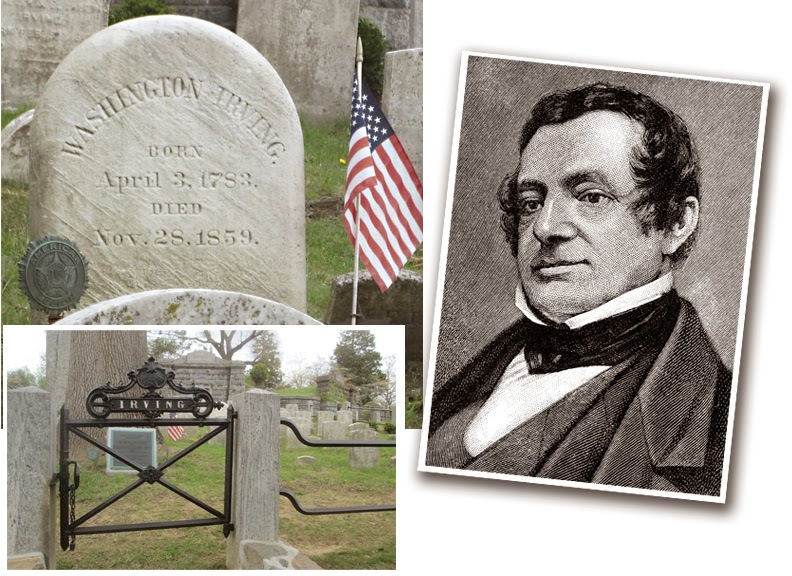 Of course, Sleepy Hollow’s most famous resident is author Washington Irving, buried in a family plot just outside of the churchyard. In addition to his famous tale of The Headless Horseman, Irving penned “Rip Van Winkle” and a multi-volume biography of George Washington and a chronicle of Christopher Columbus. 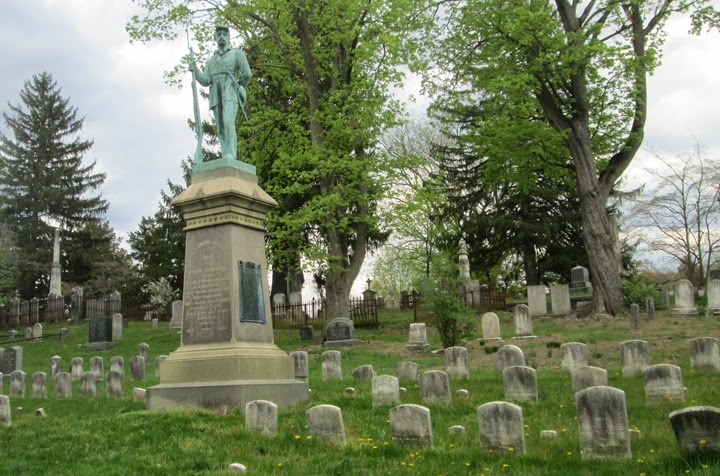 Just past the Irving plot, through some pretty narrow paths, is a large memorial to those lost in the Civil War, complete with a period-clad statue standing as a silent guard over the graves. 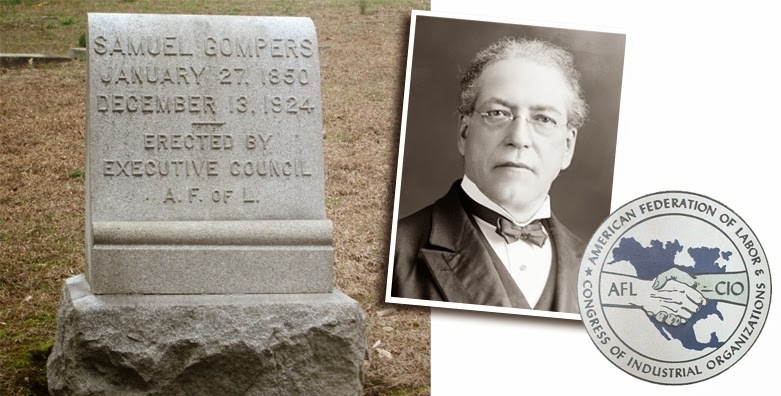 Deeper in the the cemetery is the grave of worker’s union founder Samuel Gompers. 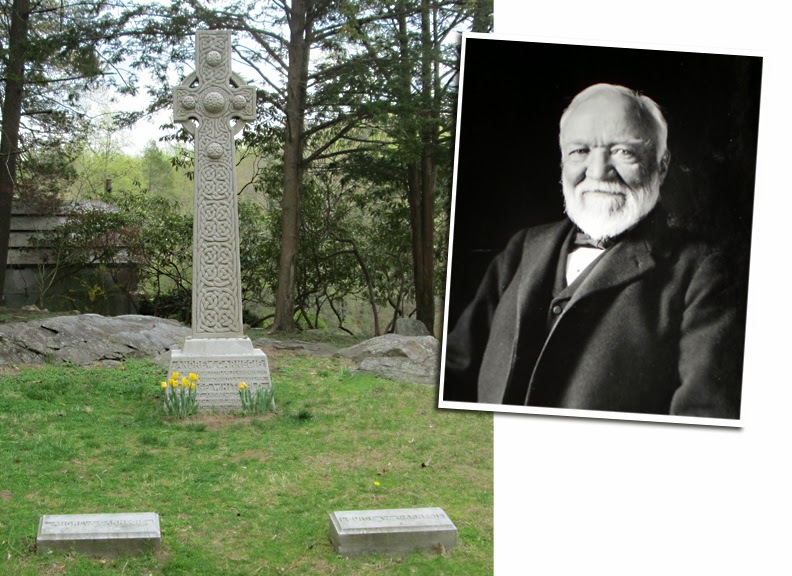 Across from Gompers, a large Celtic cross marks the grave of renowned industrialist and noted philanthropist Andrew Carnegie. Carnegie took the money he made from the sale of Pittsburgh’s Carnegie Steel and financed the New York performance venue that bears his name, as well as offering endowment to various trusts, museums and institutions of higher learning. 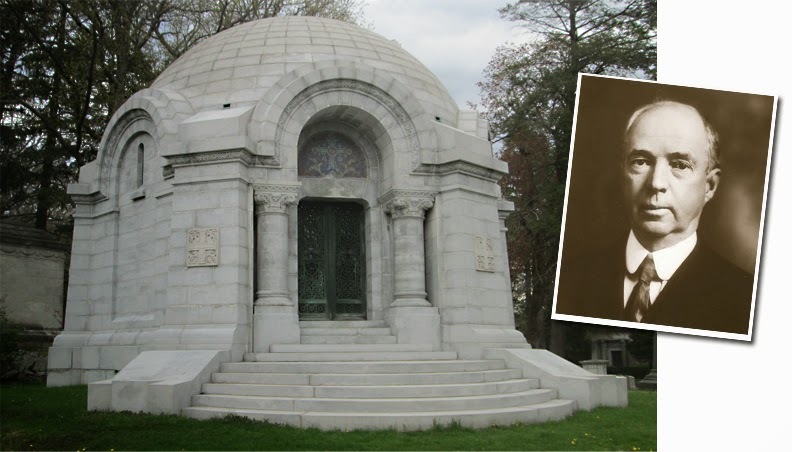 This enormous mausoleum is the eternal resting place of William Rockefeller. 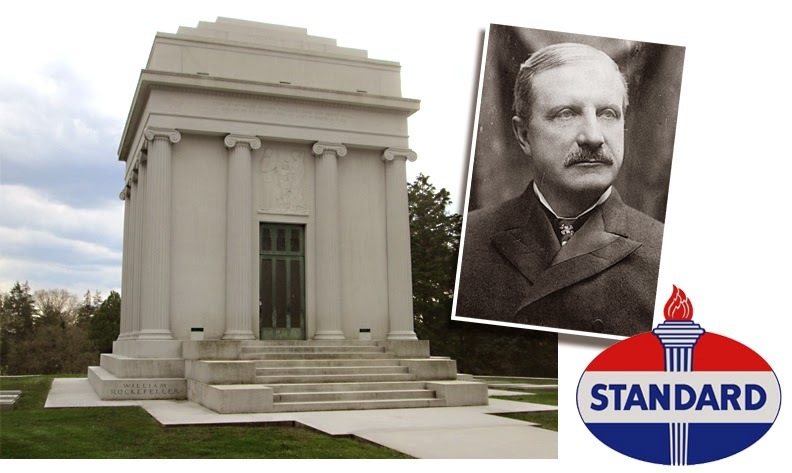 Rockefeller founded Standard Oil with his brother John, and served as company president until 1911. 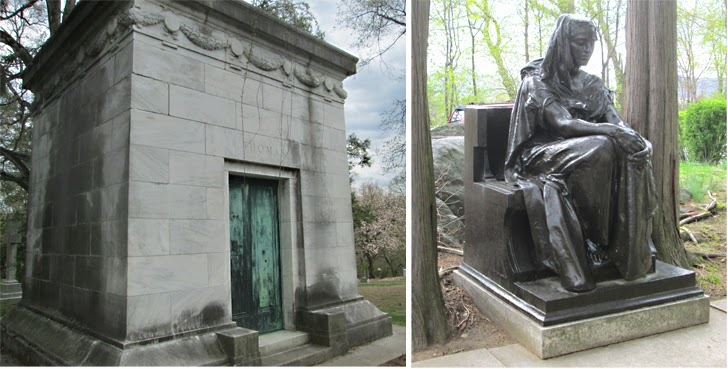 Across from the Rockefeller mausoleum is the mausoleum of John Achbold. Archbold, a close friend of William Rockefeller, served as Standard Oil’s vice president, and later as president of Standard Oil of New Jersey after the monopoly was dissolved by the federal government. 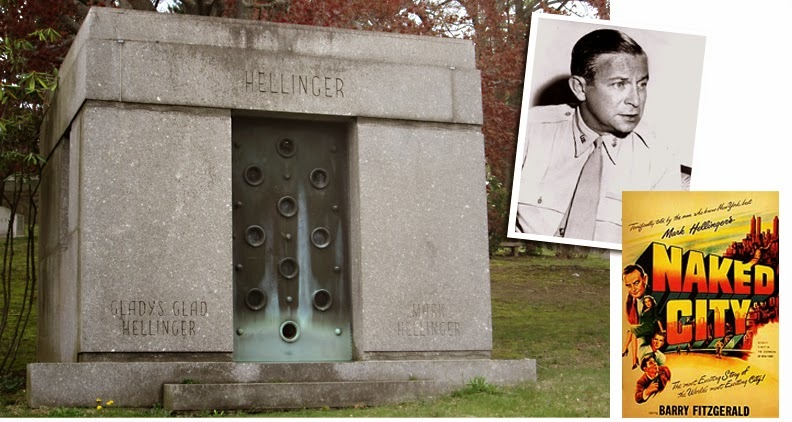 Facing the cemetery office is the mausoleum of Mark Hellinger. 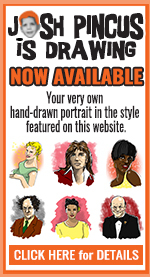 Hellinger was a successful writer whose column was syndicated in 174 newspapers. He was recruited by Hollywood studio head Jack Warner as a screenwriter. Hellinger produced the 1948 gritty, docu-drama The Naked City, and provided the film’s narration. 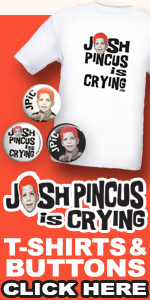 He died just prior to the film’s premiere. 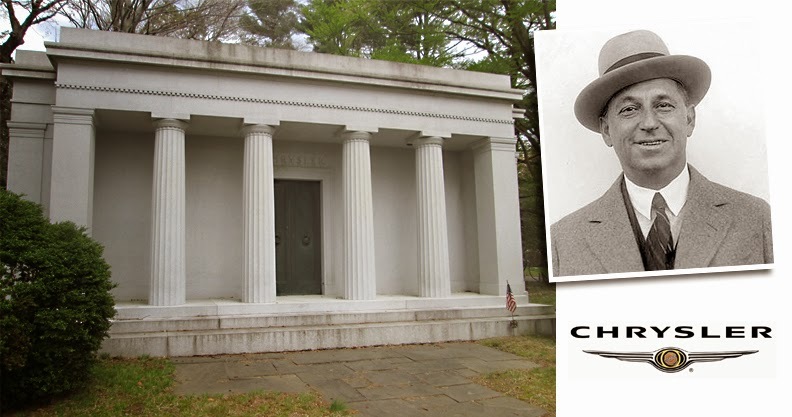 In a far, secluded corner of Sleepy Hollow Cemetery is the mausoleum that houses the remains of Walter Chrysler. Chrysler, who apprenticed as a railroad mechanic, founded the Chrysler Corporation. The automobile manufacturer produced popular Chryslers, Plymouth and DeSotos. He acquired Dodge in 1928, the same year he commissioned the construction of the Chrysler Building in New York City. 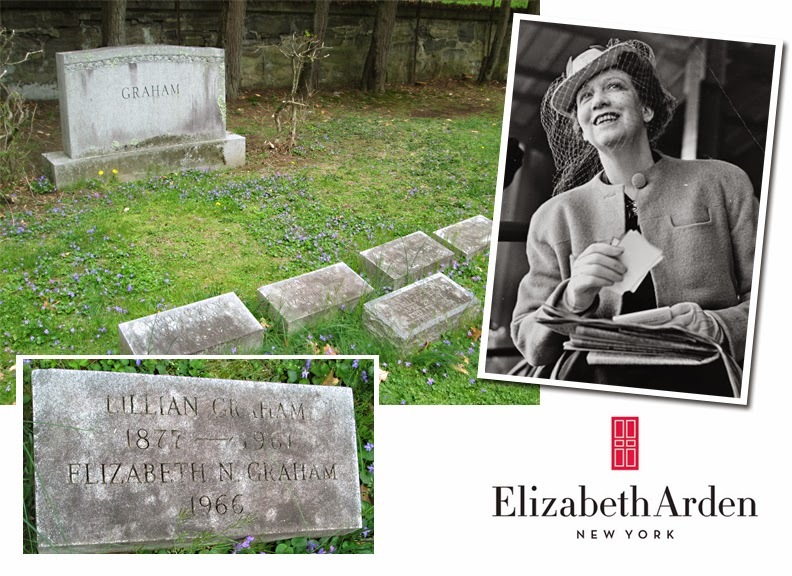 Nearby is the unassuming plot of the Graham family, including Florence Nightingale Graham, better known as Elizabeth Arden. Overcoming her humble beginnings as a bookkeeper at Squibb Pharmaceuticals, Arden traveled to Paris to learn massage and beauty treatment, returning with a collection of rouges and tinted powders. In 1912, she launched her cosmetics empire, expanding internationally three years later. At the top of an imposing mound is the equally imposing Helmsley mausoleum. Hotel magnate and so-called “The Queen of Mean,” Leona Helmsley spends eternity with her husband Harry in a dark marble tomb, inscribed romantically. Leona’s notoriously arrogant statement — “We don’t pay taxes. Only the little people pay taxes” — was overheard by a housekeeper and led to a conviction for tax evasion. 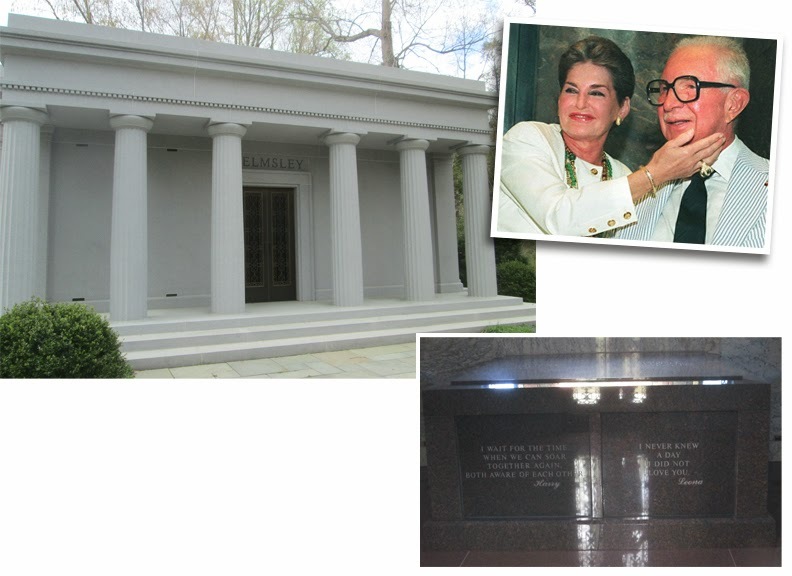 When she died in 2007, Leona left $12 million to her dog. Above the banks of the Pocantico River, that cuts through the back of the grounds, is the grave of Dr. Leo Baekeland. Baekeland, a chemist, invented Velox photographic paper in 1893. 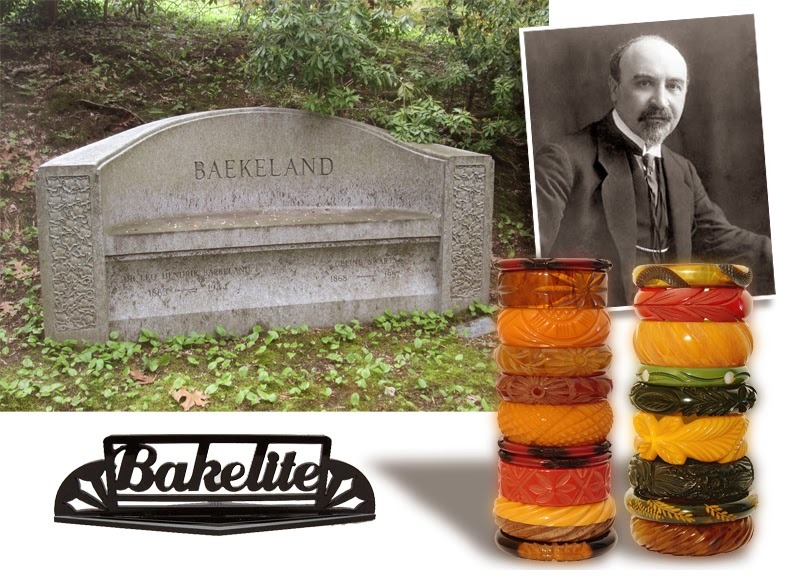 In 1907, he invented an inexpensive, non-flammable and versatile plastic, which he named after himself — Bakelite. His discovery marked the beginning of the modern plastics industry. Baekeland’s grave is opposite a recreation of the famous bridge — the one that poor Ichabod Crane needed to cross in order to escape the dreaded Headless Horseman, as described in Washington Irving’s story. 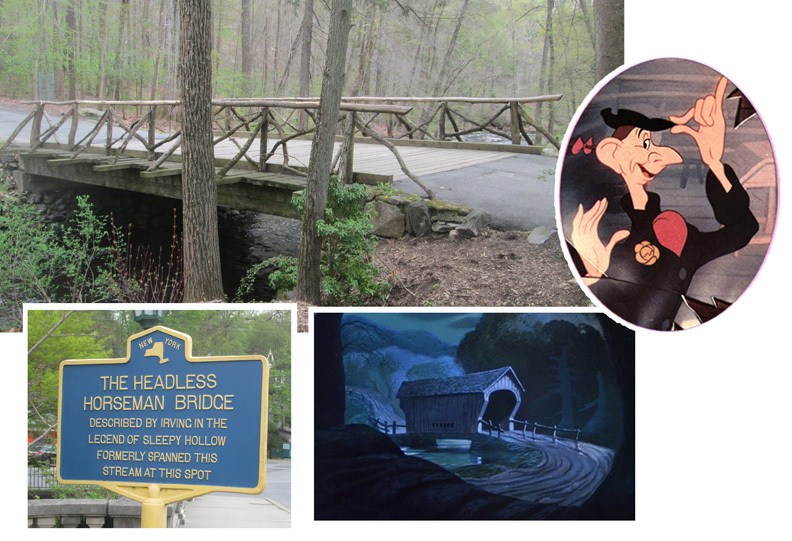 The bridge spans the Pocantico River and is far less foreboding than its depiction in movies, especially the Disney version. The real bridge, long demolished, was actually just outside the cemetery grounds and is commemorated by an historical marker. No smashed pumpkins were spotted in the area. 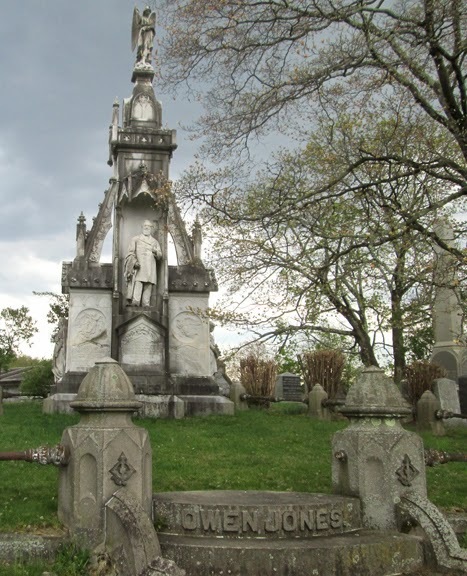 Sleepy Hollow Cemetery is filled with interesting grave markers in the form of large plots decorated with beautiful sculptures, like the one on the grave of Owen Jones. 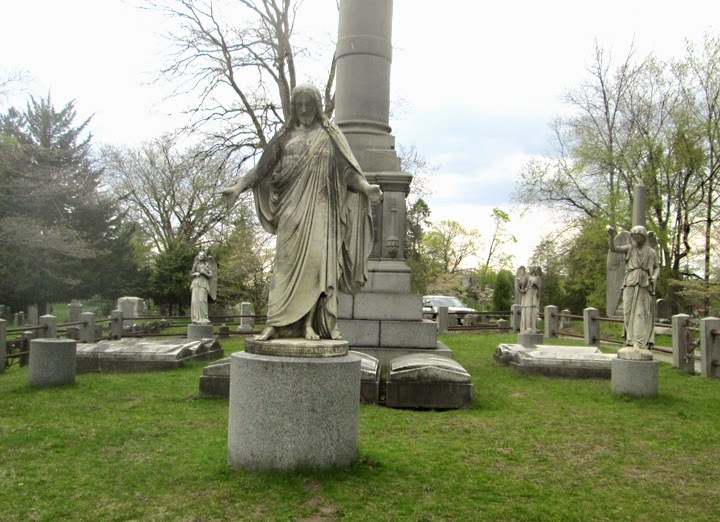 …and the Delavan family plot featuring Jesus and a band of winged angels. The sculpture, called “Grief” by artist Andrew O’Connor, has given birth to as many stories as Washington Irving. Generations of residents have told about the sounds of a woman sobbing and the appearance of tears on the statue’s face, as well as scary tales of haunting and curses since the statue’s installation in the early part of the 20th century. 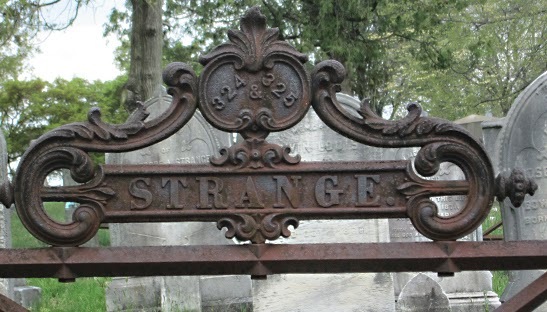 Here’s another one of the strange things we found at Sleepy Hollow Cemetery. As the afternoon faded to evening, Mrs. Pincus and I “made for the bridge!” Actually we headed for the exit before the 4:30 pm closing time. We didn’t want to get stranded…. like this guy.